The latest polls suggest that the Tories will secure some 314 out of 650 seats in the House of Commons. The Labour Party would secure 266 seats. What this means is that the Conservative Party would not reach the required majority of 326 seats to form a government. The underlying prediction is a hung parliament. The Scottish National Party is forecast to take a hit, winning 34 seats, 22 fewer than in the last election. The Liberal Democrats with a forecasted 14 seats is slated to play a key role in the formation of a coalition government. The official results should be forthcoming in the coming hours. According to the exit poll, Mrs. May may have lost the extraordinary gamble she made in calling the election — and Britain may be headed for a hung Parliament, in which no party has a majority. 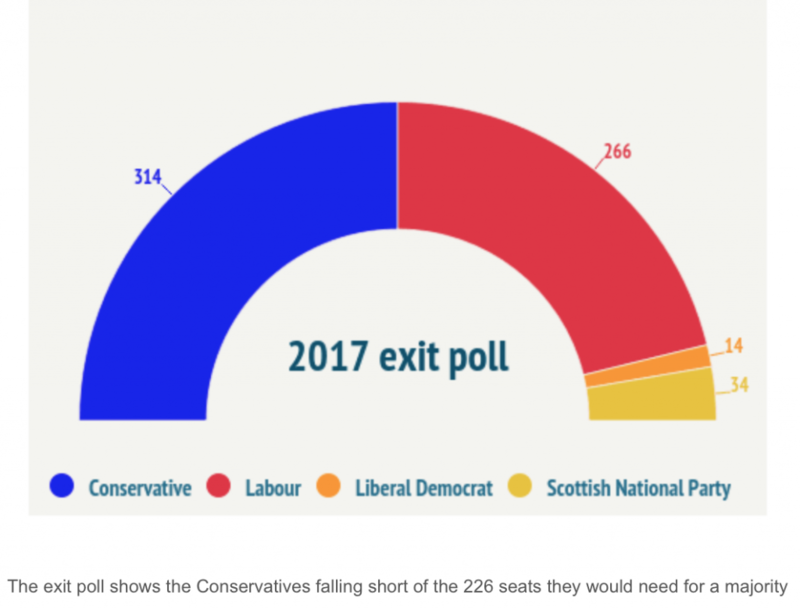 Poll results found that the Conservatives would remain the largest party, but they were projected to win only 314 seats, down from 331 won in 2015, and 12 votes short of a majority. the BBC poll estimates that the Tories would be short of a majority of 17 votes. 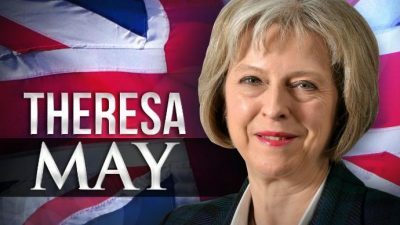 Theresa May’s gamble at calling an early general election following a massive Conservative lead in the polls appeared not to have paid off after a 10pm exit poll predicted that Britain was headed for a hung parliament. The shock result, which followed forecasts of a Tory majority of up to 100 seats, came after Jeremy Corbyn enthused Labour supporters who had flocked to almost 100 rallies across the country. The poll suggested the Conservatives were on track to be the largest party, but were 12 seats short of an overall majority. Party sources insisted it was early days, stressing that the prediction in 2015 had also been for a hung parliament but finished with a Tory majority. John McDonnell, the shadow chancellor, hit out at the negative and “nasty” tactics of his opponents, insisting Labour had stuck to upbeat arguments, saying that if the result was “anywhere close” to the exit polls then it would be a massive vindication for positive campaigning.